JPMorgan Chase & Co has agreed to pay $150 million to resolve a class action lawsuit over its London Whale trading scandal that emerged in 2012. The trading scandal caused a $6.2 billion loss, dropped JPMorgan’s share price by roughly one-quarter, and wiped out more than $40 billion of market value. The settlement was disclosed in papers filed in federal court in Manhattan on Friday. The lawsuit stemmed from oversight by JPMorgan’s Chief Investment Office of traders in the bank’s London office. Shareholders accused JPMorgan of knowingly hiding increased risks at the Chief Investment Office. According to the lawsuit, the bank told investors the primary role of the division was to manage risk when it was actually engaging in trades to generate profit. The bank’s London office was the one that employed Bruno Iksil, the so-called London Whale for his dominance of a section of the derivatives market. JPMorgan has already paid more than $1 billion, as well as admitted wrongdoing, to settle probes into the London Whale losses in the United States and Britain. Two former traders, Javier Martin-Artajo and Julien Grout, have been criminally charged for attempting to hide losses linked to Iksil. Iksil has reportedly been cooperating with prosecutors investigating the matter. The lawsuit was filed by pension funds in Arkansas, Ohio and Oregon, as well as one in Sweden. The plaintiffs claim tens of millions of dollars of losses due to “false and misleading information” from the bank. The Ohio Public Employees Retirement System reported losses about $2.5m related to the trading scandal. Ohio Attorney General Mike DeWine said in a statement that the settlement would help the Retirement System recover its losses and discourage fraud in the future. 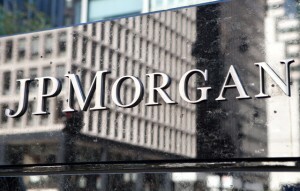 The settlement covers anyone who bought JPMorgan stock from April 13 to May 21, 2012. The case is In re JPMorgan Chase & Co. Securities Litigation, 1:12-cv-03852, U.S. District Court, Southern District of New York (Manhattan).